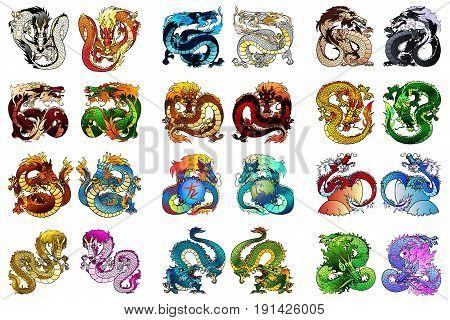 Big set of multi-colored Asian dragons of elements of fire, metal, earth, tree and water. Animals of the Chinese goroskov separately on white. Full-color cartoon vector illustration.